The processes that have shaped the urban transformation of Delhi are not singular. Similar trajectories have been observed in rapidly expanding metropolises especially those in the global South. This chapter entails an understanding of the factors that accelerated the processes of the formation of conurbations, ensuing fragmentation and socio - spatial segregation. to being relegated to a small part of the space. Theorists such as Jencks (1986) while attempting to synthesize an understanding of post modernism, also refer to its consequence on creating ‘piecemeal’ as opposed to ‘holistic’. This reference assumes the term ‘fragment’ in post - modernism discourses by Hassan (2000). However for both these theorists, the ‘fragment’ as opposed to the ‘holisitc’ is a positive phenomenon. Even though Harvey (1990) agrees to the relation of fragmentaton to post - modernism, he considers it a negative spatial phenomenon. He argues that ‘ the acceptance of fragmentation and discontinuity’ is perhaps ‘the most startling fact of post modernism.’ He elaborates that this has also manifested itself in political, social and economic realms resulting in ‘fragmented politics of divergent special and regional interest groups’. self - regulation, privatization and free - market orthodoxy,(Klein, 2002) which is responsibe for world - wide inequality and environmental degradation (Burgess et al, 1997; George, 1999; Harvey, 2005). The resulting urban transformation are rendering a fragmented form and structure even to cities that are not global cities but those that aspire to become global cities. The term fragmentation with respect to globalization theories is antonymous to integration. This means that increasing integration of the ‘globalized world’ is accompanied by a parallel process of fragmentation by the ‘non - globalized world’, transcending multiple scales. (Kozak, 2008). This leads to ‘imbalances in life chances between the world’s rich and marginalized poor’ (Hall, 2006) Subsequent chapters situate these recurring phenomenon through the lens of globalization and fragmentation in the context of Delhi. 0.1 WHAT KIND OF PROJECT? The conceptualization of this thesis project takes root from the possibilities of the ‘Horizontal Metropolis’ (Vigano, 2006,2011). The elaboration of the same is situated in the peri - urban region between Delhi and Gurgaon; wherein the rural villages surrounded by productive landscape represents a case of isotropy, wherein isotropy has been used to refer to a dispersed territory, ‘an ancient landscape of evenly scattered development alongside roads and waterways’ (Secchi, Vigano, 2006) when referring to The Citta Diffusa. In Delhi, this isotropy is subjected to fragmentation and structural imbalance when current planning policies promote a model of city expansion which is an archetypal sprawl. gap between spatial and economic policies (Rondinelli, 1991). In such cases, a major chunk of the country’s finances is allocated to emulation of global trends and beautification of the urban cores. It results in ‘policies of forgetting’ marginalized groups as was described in the case of Delhi (Fernandes, 2004). 0.3 NATIONAL SCALE: GLOBAL ASPIRATIONS We are inhabiting an era when more than half of the worldâ&#x20AC;&#x2122;s population live in urbanized areas. This transition is particularly evident in India, contrary to the Gandhian ideology of the self sufficiency of the village on which the countryâ&#x20AC;&#x2122;s independence was founded on. (Sudjic, 2007) Indiaâ&#x20AC;&#x2122;s current world status as a developing country with a burgeoning urban economy and its magnitude of population makes it an ideal platform to discuss the future of the current models of urbanization. 300 million inhabitants are stretching the tactile boundaries of metropolitan areas. The country is witnessing a rural to urban transition with remarkable speed and no strategic tools to initiate a moderate urbanization instead of the formation of conurbations as is happening now. Besides being the political capital of India, Delhi is also the economic, cultural and commercial centre and a nodal point in international and national trade. Because of already established national significance, Delhi now is aspiring to be among this hierarchical network of global cities. This chapter entails the theme of the thesis. The context of Delhi in the region and the factors which conribute to the multi - scalar fragmentation are discussed. The fragmentation in the peri - urban area and the problems faced by this area are elaborated through the lens of existing trends and planning framework. The trends, conflicts and urgencies which will lead to an escalation of the fragmentation gives an indication of the main research. neglects natural topography. Historically, the lack of integration between the historic and modern parts decided a spatial fragmentation which exists even today. The planned British capital, New Delhi is ‘planned like a spread garden city with a geometric plan, large roads and vast dimensions’ (Dupont, 2004). The last of the ancient cities; the walled city of Shahjahanabad has a ‘intricate web of narrow streets and densely packed buildings’ (Evenson, 1989, p.148) At the peri – urban scale, the conflicts due to fragmentation are at a maximum. On the one hand, peri – urbanization sees the ‘formation of mixed spaces, midway between urban centers and rural spaces’ (Dupont, 2007). It is the peripheries of the metropolises where the transition spaces assume diverse and conflicting uses; a result of the processes that happen because of the political and societal visions that feed into the image of the city core. systematize urban growth at the fringes. Hence, this gives rise to fragmented spaces as a result of conflicting visions and agendas of various actors. The needs and roles of the passive stakeholders, particularly the migrants and residents without tenure security are ignored in favor of private developer entities. 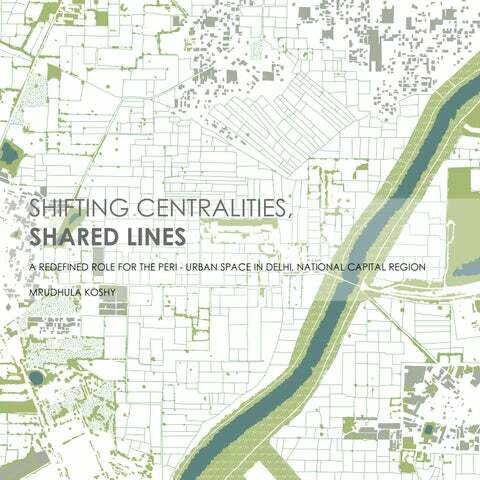 This thesis tries to attend to the spatial incoherence of the urban pieces at the peri – urban scale between the city cores of Delhi and Gurgaon, symbolized at large by various conflicts and a lack of integration between planning and design in the Delhi planning context. Urban villages which are a symptom of the fragmentation in the peri – urban areas form part of the structural ambiguity. social infrastructures. Though they enjoy more tenure security in comparison to the unauthorised colonies and do not have to fear demolition because of the Lal Dora, the spatial quality is the same as unauthorised colonies, highly dense and without any facilities. Such newly â&#x20AC;&#x2DC;urbanisedâ&#x20AC;&#x2122; villages have nearly doubled in the last decade. The predicted migration from the surrounding areas means that this phenomenon will continue and in the future, Delhi would tend to have islands of degenerated spatial quality facing social and spatial exclusion in a sea of urbanization. The Act was also criticised because the DDA could not keep up with the demand for land. This escalated property prices. There was also dissatisfaction from land owners related to compensation decided by DDA. This led to disputes and litigations which meant that the land remained vacant until the dispute is settled. During this period, it is subject to encroachment and illegal settlements. A new devised Act, called the Land Pooling Act of 2013 was passed to ensure a more transparent and participatory planning approach. Instead of acquisition of farmlands, land owners or private developers can individually or by forming consortiums, hereby called the Developer Entity, pool their land to a Land Pooling Agency which is a land bank. The DDA uses a percentage of the land for developing public amenities, physical and social infrastructure. The rest of the land is return as a percentage deducted from the land that was pooled within a five kilometre radius of the same. The Developer Entity can then choose to develop the land or sell it to private developers. The constraints of the act are that a percentage of the land should be developed for LIG and EWS housing which will then be consolidated by DDA for distribution. In many ways, the act is significantly nuanced than the previous act. It dissolves customer dissatisfaction and the short supply of land. But it is heavily in favour of private developers and does not integrate the needs of the socially marginalized. In consequence, the spatial transformation that the new act may entail may not be any different from what it has been until now. When these trends are dissected in a peri â&#x20AC;&#x201C; urban area, the uncertainties are manifold because of the diversity of actors involved, formal and informal spatial morphologies and the lack of urban governance. This contributes to a maximum case of socio â&#x20AC;&#x201C; spatial fragmentation. The socially marginalized passive actors inhabit the peri â&#x20AC;&#x201C; urban areas with no access to equity based infrastructure. What role can the fragmented peri – urban space assume in a multi - scalar context? How can fragmentation be countered in the peri – urban space? The conurbations have resulted in the formation of peri – urban spaces which face spatial and social fragmentation; devoid of physical and social infrastructure that binds the rest of the city to the larger region. The peri – urban spaces face structural ambiguity because of this fragmentation. The urban villages which are located on the peripheries between the main city and the satellite cities are a symptom of this ambiguity. The persisting uncertainties and negative trends in the peri – urban space is an outcome of the planning policies that were applied at various points in history as a response to the planning problems that were most pressing then. So the issue is further augmented by a lack of planning strategy catering to their specificities. aspirations, car - based mobility systems, gravitation of trade and commerce in the city cores, dominant active actors and weak passive actors, sprawl which led to degeneration of ecosystems, fragmented green and open spaces and a negation of topography, lack of urban governance and historical spatial elements has resulted in an ambiguous peri – urban space. All the systems are tending to a state of individualisation which affects the marginalised and disadvantaged social groups. There is a need to re – qualify the space for interaction between the various scales to counter the existing fragmentation. Social relevance: The phenomenon of ambiguous peri â&#x20AC;&#x201C; urban spaces also encompasses the debate on exclusion and inclusion. The planning processes are tilted in favor of market demands and not to marginalized social groups. The research will attempt to understand how the existing governance structure and the involvement of stakeholders may be refined to promote a balanced spatial justice by making the peri â&#x20AC;&#x201C; urban spaces a part of the larger network. Further, it will attempt on analyzing how prevalent heritage and cultural legacies may be evoked to lend character and spatial quality and thus alleviate socio spatial fragmentation. AIM Hence, the objective of the thesis is to examine the issue of socio â&#x20AC;&#x201C; spatial fragmentation at a multi â&#x20AC;&#x201C; scalar context, address the conflicts which contribute to fragmentation and propose an integrated spatial vision for the progressive integration of the peri â&#x20AC;&#x201C; urban space into the regional and city network. Integrated design principles related to mobility, production, open space and urban form would guide the spatial strategy. leading to a loss of heritage, the inherent spatial strengths from history would be used to generate urban design tools as a contemporary interpretation of historical rationalities. On a localised scale, the strategy would be shown as a demonstration project of how the principles can be integrated to address local needs and roles. What structures and values have to be reconfigured to let the peri - urban area be a middle ground which benefits from the proximity to urban cores and in the process is able to deal with the existing economical, social and environmental challenges? RESEARCH QUESTION As specified in the problem statement, the region faces multi - scalar fragmentation. The urban - rural dichotomy is evident and the role of the urban villages remain unclear which further seals the fate of the rest of the rural villages in the region. This brings the discussion to the main research question. ban space to benefit from the proximity to urban cores and is able to deal with the existing economical, social and environmental challenges and endogenous potentials? Considering the time constraint, I will be selecting one sub - region for detailed analysis; that of the space between the urbanized core of Delhi and the satellite city of Gurgaon. The following sub - research questions will enable to pinpoint the core aspects on how to deal with the problem. Each question specifically addresses the theoretical framework, analytical framework, visions, strategies, design and reflection in that order. change the existing spatial condition of the urban villages? 7. What are the interventions that enable the peri – urban space to be part of the regional network which does not cater to local needs? 8. As a design outcome, what kind of symbolic elements can be evoked from the historic urban forms of Delhi to lend spatial character to the urban villages? 9. What regional impact can the re defined role of the peri – urban space have? Field work is done by photography to understand the morphology of the urban villages in relation to the surrounding urbanization. Mapping at different scales was done to understand over - lapping, conflicts, existing patterns and infrastructure. Since the study concerns rural patterns, informal interviews with residents and site users were more insightful than formal interviews in this case. So interviews with inhabitants was done to understand the conditions, landownership status, commuting patterns and economic processes. Previous case studies of peri â&#x20AC;&#x201C; urban spaces has been used as a reference point. At the intervention phase, a case study has been selected to understand the scope of strategic intervention through integrated design principles and integrated spatial vision. waiting to be usurped by urbanization. The end product will therefore be an integrated design principles and integrated spatial vision as this lack of synthesis between planning and design also contributes to the non implementation of urban proposals besides the resources and the political decisions. A demonstration intervention is used as a design exercise to understnd the use of proposed concepts. Much of the recent urban development in the city has been accelerated by a liberalization of the economy in the early 1990s. This chapter entails to show how that led to a process of fragmentation in the economy, mobility, production systems, governance, diverse stakeholders, open space and urban form through a multi - scalar analysis. The conditions that led to this saw a heavy investment in the city cores with a neglect of the peri - urban areas. The fragmentation that resulted from this process affected all scales from the regional to the local. TRADE AND COMMERCE The trade and commerce nodes, are concentrated in the city core of Delhi and in the satellite cities of Gurgaon and Noida. This reflects the global city aspirations of the city wherein there is a greater investment in the city cores neglecting the rest of the city. The industrial activities are concentrated along the regional infrastrcuture. Initially they used to be planned in the periphery of the city. When the city expanded, they became engulfed in the urbanized areas. There are hardly any nodes in the peri - urban area except for minor localised commercial facilities catering to local needs. This inspite of the fact that much of the productive agricultural landscape of the city is situated in the peri - urban area. The economic fragmentation has to be countered for retaining the agricultural values. By benefiting from the proximity to the urban cores, agricultural production can be given new dimensions and new functions to cater to multi - scalar needs. MOBILITY - ROAD ‘Colonial New Delhi was ‘planned by and essentially for, the automobile owning class’, which was continued in the post - independence urban planning’ (Evenson, 1989:188). ‘The expansion of the city beyond the administrative limits followed the main roads and railway lines. This connected the core area of Delhi with the fast - growing peripheral towns resulting in a poly - nodal metropolitan structure’ (Dupont, 2011). ‘Mobility has reinforced the current urban restructuring linked to the effects of globalization. This has seen the emergence of a new spatial order (Marcuse & Vankempen, 2000) and a resulting socio - spatial disorder’ (Bannerjee, 2002b). Current mobility is oriented preferentially to global integration and neglects local integration. The infrastructure thus fragments the city and acts as barrier to cohesive development. This can be observed from the contrast of the number of motorway links in the city cores of Delhi and Gurgaon and the peri - urban areas. To counter the fragmentation that the big infrastructure has caused, there is a need for inter - modal isotropic mobility restructuring to serve all parts of the city. MOBILITY - RAIL AND METRO ‘The iconic pull of Delhi metro was used as a symbol of progress to stake claims as a world class city’ (Siemiatycki, 2006.) 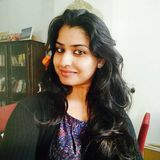 ‘The secondary concern for its function as an efficient means of mass transit, exemplifies ‘the truimph of image over substance’ (Harvey, 1989; 13) ‘The recent development in Delhi echoes trends first evidenced by Harvey (1989) in advanced capitalist countries and now in emerging economies. This involves entrepreneurialism in urban governance for the ‘creation of an attractive urban imagery (ibid. : 13) for the speculative construction of place in the context of competitiveness among cities’ (Dupont, 2011). The functional inefficiency of metro is evident from its concentration in city cores. It serves global aspirations rather than integration of the city. It does not serve the peri - urban areas except for parts of the commercialized south east area. The overlapping of railway and metro indicates a lack of inter - modal hubs. To counter the fragmentation that the distribution of public transport has caused, there is a need for inter - modal, isotropic mobility restructuring to serve all parts of the city. GOVERNANCE (Lack of Urban Local Governance) The hierarchy of governance indicates the presence of urban governance only at the higher levels. There is an absence of local urban bodies. This could be one of the reasons for a lack of responsibilities for shared resources such as water and open spaces. This top - down decision making process neglects the needs of local actors and a participatory democratic process with regard to spatial decisions. To counter existing fragmentation in governance, there is a need to promote urban governance at the local level to ensure equity and participation of passive stakeholders. ADMINISTRATIVE BOUNDARIES ‘Politico - administrative decentralisation reforms of the 1990s entailed a transfer of responsibilities to the municipalities to promote participatory democracy’ (Mahadevia, 2003). ‘This was accompanied by the 74th constitutional amendment which recognised transitional areas and granting of civic status to them as ‘nagar panchayats’ or town panchayats. However, the central act has left it to the different states to create this new category. So many peri - urban areas remain outside the legal jurisdiction of any urban local body’ (Shaw, 2005, p. 31). This ambiguity in governance is evident in Delhi. It is sub - divided into 9 districts with three sub - divisions each which are further sub - divided into wards. (as shown on page 55) Each sub - division is governed by a sub - divisional magistrate. Further it has a division of 16 zones of which zones from A to H are urbanised areas (as shown on page 56) which are under the jurisdiction of MCD (Municipal Corporation of Delhi). The areas under MCD receive greater attention than those that are not; that is the peri - urban areas, in the absence of urban local bodies. To counter fragmentation in governance, strategic planning should involve participatory processes for negotiation and implementation. To ensure that spatial decisions have a more participatory approach and a responsibility for shared governance, new modes of localised urban governance should be explored. This can even involve modes of soft governance by forming networks of experts, NGOs and volunteers to create awareness of the need for responsibility. LAND USE PLANS â&#x20AC;&#x2DC;Although on the one hand urban land - use and land development was controlled by the administration, and new constructions submitted to numerous regulations, on the other hand, a large part of the urbanization process has taken place in an unplanned and informal wayâ&#x20AC;&#x2122; (Dupont, 2004). LAND USE PLANS; TRENDS AND TENDENCIES The provisions in MPD 2021 are in favour of private developers. Single family villas called farmhouses have been renamed as low density developments and their construction has been permitted on the green belt. This indicates that the ensuing trend of urbanization will have all the negative effects of a lack of long term strategy. A shift from the current model of reactive planning to pro - active planning which is strategic and long term is needed to change negative effects of the current pattern of urbanization. The initial locations of slums were in proximity to infrastructure and workplaces. The economic rationale for displacement was high price of land. Displacing the slums to periperies of the city where they do not have public transport access reinforces socio - spatial fragmentation. Distribution of infrastructure based on equity should be reinforced to promote social inclusion. 0 Note: Size of circles denote ratio of numer of squatter households ranging from 1073 to 7500. Here, social and spatial exclusion has been a deciding factor for the fragmentation. Present urbanization and contemporary social dynamics has not tried to spatially solve the ostracism. The position of centralities also illustrates how the historical segregation influenced the urban development Distribution of infrastructure based on equity should be reinforced to promote social inclusion. Even though policies for heritage conservation have been outlined in planning documents (MPD 2021), no strategic policies have accompanied the same. To conceive an urban - rural networked region, historic urban forms should be incorporated to lend spatial character. HISTORICAL BACKGROUND CITY EXPANSION ‘The spatial organization of Delhi is not only marked by the city’s different historic periods, but also by post - independence urban planning as well as endogeneous forces’ (Dupont, 2004). ‘The pattern of multi - nuclei model has been identified as the most relevant model to explain the urban configuration of Delhi’ (Nagpaul, 1988). ‘To ease vehicular traffic, the Delhi government has built or is planning to build numerous flyovers, bypasses and bridges: 28 projects are scheduled, most of them for completion between 2007 and 2010, including a bridge over the Yamuna river’ (Dupont, 2004). The rampant urbanization saw the criss - crossing of infrastructure through what was until then a predominantly rural landscape. This infrastructure did not serve the peri - urban areas. Instead they were enhanced to serve as corridors between the city cores. It is evident that the rural villages in their present spatial condition cannot work in isolation. The idea is to understand the potential that a robust seconary infrastructural network connecting to nearby urbanized areas can offer in terms of self sufficiency and enhanced productivity status. HISTORICAL BACKGROUND NATIONAL CAPITAL REGION As per the stipulations of the National Capital Region Planning Board, 1985, the NCR was created to indicate the manner in which the land in the National Capital Region shall be used, whether by carrying out development thereon or by conservation or otherwise, and such other matters as are likely to have any important influence on the development of the National Capital Regionâ&#x20AC;?. The figure on the left shows the existing condition of the NCR. It follows a ring and radial structure with the city of Delhi at its core and the satellite cities on its fringes. The infrastructural development has resulted in a multi - directional sprawl. The main decisions of the act caters to infrastructural decisions, with regard to expressways, highway corridors and railways which connect the priority cities. The current trajectory of urban growth in NCR indicates a policy negation of the peri - urban areas, thus not solving the problem of fragmentation. Urban form should be guided by structures that are flexible enough to adapt according to the progression of time and can thus form a backbone and network to link the various fragments. Existing green structures should form part of a multi - functional multi - scalar green network serving as lungs for the city. By conceiving the ridge as a multi - functional element which contributes to the peri - urban area as a recreational and open space resource, the current fragmentation that it has engendered can be countered. The figures represent the comparison of the potentials and negatives of the city. The potential areas are an overlap of the water structures, green spaces, public transport,nodes of trade and commerce and urban governance represented in figure 1. The negative areas are an overlap of the increasing growth rate in the periphery, the multi - directional sprawl, resettlement of slums to the periphery and location of backward castes because of historical ostracism in the periphery of the city; represented in figure 2. In figure 3, When comparing, it is evident that there is a concentration of positives in the city cores which is well - accessed by public transport and has qualitative green spaces. The periphery on the other hand is marginalised space because of lack of proper monitoring systems and arbitary rules with regard to green belt which is encroached as a result. The conflicts that the city faces as a result of socio - spatial fragmentation is thus at a maximum at the peri - urban areas.Countering fragmentation in the peri - urban areas should take into account a reconfiguration of existing values. CONCLUSIONS A strategy advocating a diversification and value addition to the blue and green structures can enable a permeable spatial condition in the peri urban area. A reconfiguration of the existing productive systems by combining with the open spaces leading to new centralities, nodes, clusters, mobility and urban form. This means the need for a new set of tools which are flexible enough to guide the different parts of the territory but precise enough to protect valuable qualities. Of course, it is understood that in a market oriented society, it is impossible to guide the whole territory. Nevertheless, if networks of water and green structures can be used to guide the territory, a certain degree of control can be maintained. Changes in productive activities and lifestyles are brought about by a lost economic base due to vanishing agricultural role. This chapter entails the understanding of fragmentation in the peri - urban area. Two squares of 12 x 12 km depicting two diverse spatial conditions are used for the purpose. The area on the left is dominated by rural villages surrounded by a productive landscape. The area on the left is more urbanized in comparison. The agricultural land in this area was aquired for urban development in the process leading to a conjestion in the villages. These villages now go by the name â&#x20AC;&#x2DC;urban villagesâ&#x20AC;&#x2122;. The trends are analysed by the same criteria of urban form, open space, mobility and production. This enables to understand how the process of fragmentation and ensuing exclusion that now exists in the second area might be avoided in the first area by introducing new strategies. Note: The individual buildings in Area 2 is obtained from INTACH whereas similar data was not available for Area 1 so urban blocks have been depicted in this case. The following visual data depicts the diverse spatial conditions in Area 2 in close proximity to each other but segregated. Note the contrast in morphology of single family villas and the congested urban villages. PRODUCTION In Area 1, the rural villages are predominantly residential with traditional urban forms. Dwarka is characterised by apartment complexes and townships; there are also educational institutions. Najafgarh is urbanized with mostly mixed use typologies. TRENDS TO EXCLUSION The transformations that Area 2 has been subjected to has rendered it to be a space of exclusion; where diverse income groups live in close proximity to each other but are disconnected to each other. The quality and the availability of services, open spaces and public transport are also decisive of the current exigencies in the master planning norms. MOBILITY This comparison illustrates the need to conceive a multi - functional role for infrastructural corridors wherein a meeting between the different scales can be envisaged. OPEN SPACE This comparison illutrates the need to promote multi functional and multi - scalar open space network as a backbone wherein a translation from exclusive enclaves to hybrid spaces can be envisaged through this. PRODUCTION This comparison illustrates the need to achieve a middle ground wherein the preserved parts of the productive landscape intermingle with new city expansions enhancing the multi - functionality of production. URBAN FORM This comparison illustrates the need to enable a shift in spatial dynamics towards equity and not segregation between existing traditional urban forms and new urban forms. This chapter entails the morphological transition of Delhi. The diverse spatial structures and the political and social conditions that dominated then renders Delhi as a mosaic; a palimpsest that witnessed Mughal traditions, British imperial architecture and post - independence boom with heavy global influence. The traditional structures such as rural villages and informal settlements are also a significant part of Delhiâ&#x20AC;&#x2122;s mosaic; some adapting to the rapid transformations and some losing their inherent strenghts in the process. Design principles that are a contemporary interpretation of historical rationalities are used to feed into a strategy for the peri - urban area. Rural villages were characterized by a series of courtyards which varied in levels of privacy, size and the number of people who used them. They served as places of rest, interaction and points of orientation. These traditional public spaces are under a risk of being encroached as a result of arbitary and uncertain uses being lent to it under the present scenario. Since they were part of an introverted system, to be valorized in a benefitial manner, they have to be connected to a larger network and have diverse uses. Above the morphology of some of the existing villages is illustrated. It is evident that the village pond used to be a signififcant value in past times. Villages mostly originated near a water source. They supplied water for drinking and other purposes. Nowadays, these ponds have been ill - maintained and contain polluted water. The chief reason for not revitalising them is because of the lack of agreement between DDA and Forest department on who is responsible for the ponds. This again displays the need for localised urban governance on water issues. The vitality of Old Delhi is characterised by predominantly mixed use functions with some centralities, fine - grained streets and open spaces. During the mughal times, public gardens used to provide shade and were places of rest and interaction. They were not exclusive spaces but were many in number and spread out for use by the public. POST - INDEPENDENCE HOUSING The morphology of housing plans by DDA show that they were heavily influenced by the Garden city model which Lutyens applied for the imperial capital. When the lands were acquired, basic infrastructure such as roads, drainage systems, provision of water and electricity, parks and planting of trees were the responsibility of the DDA. The construction of housing was undertaken by either the DDA or co - operative housing societies. The housing sectors and categories were determined by segregation based on income which in itself is a policy of exclusion. What might be derived from these typologies is the minimum amount of spatial quality that was stipulated at the time of initiation itself. INFORMAL SETTLEMENTS The spatial strengths of the informal settlements ascribe to the fine - grained street vitality which are being swept away to conform to car - based city expansion formulas. Life on the streets is a very vital part of the Indian city tradition. Micro - spaces are created through apprehension of spaces by the users. These assume different hues and qualities by virtue of the time and the people using them. Many such local spaces which were valued in the past are now being lost because of the rapid city expansion and encroachment. INFORMAL SETTLEMENTS The above tools have been derived from the spatial strengths of informal settlements. The new sub - city expansions lack the vitality of informal trade and kiosks which are a trademark of the city cores. Besides street vitality, these are also provide viable employment options for the low skilled. The exclusive apartment complexes and gated communities have only enforced the idea of danger on the streets. These have to re - interpreted using traditional spatial strengths. This chapter entails the regional strategy for the peri - urban area. Existing mobility, open space and production are used as a criteria to define the strategies. IMPLICATIONS OF GREEN BELT Until now, the planning systems in Delhi has been heavily influenced by the British planning tradition. The green belt was seen as a way of urban containment. The figure above shows the relation between the proposed green belt according to Master Plan documents and the expansion of the city. This clearly indicates that the green belt as a spatial tool failed to meet its function. It â&#x20AC;&#x2DC;remains a blanket policy with roots in a bygone era of modernistic planningâ&#x20AC;&#x2122; (Amati and Taylor, 2010). As the city expanded, the arbitary boundary and the lack of delineation of specific functions led to the disappearance of the green belt. There is thus a need for a new spatial tool which will ensure against a loss of diverse green spaces and is flexible enough to meet the demands and guide the growth of the expanding metropolis. In the process, identifying a continnum which will counter the existing fragmentation in the territory. This particular case study was chosen for its articulation of low - income housing using a hierarchy of open spaces as the backbone of the plan. It is a project by Charles Correa. It is a LIG Housing scheme in Belapur, Mumbai. Drawing upon the Indian traditional courtyard houses, he used the open space as a primary structuring element. A hierarchy of courtyard spaces linked to each other ensured open space for each family. The project can be said to have limitations in the sense that it did not use the existing water course to advantage. Also since the project was a site bounded by roads on three sides, it did not seem to have considered the implications on the larger territory. Being a low density form, it cannot be directly applied to meet the housing demands in Delhi. So it has been adapted appropriately using design principles. REGIONAL PLANNING FRAMEWORK This section discusses the desired regional planning framwork that is needed to embed the green infrastructure as a planning tool. The existing mobility structures, green spaces and water are re - interpreted with new roles to operate as a continuum. The governance also assumes significance in terms of negotiation on shared resources, local bodies and participation of passive stakeholders. MOBILITY: ROAD, RAIL, METRO The figure above represents existing mobility in the region. Currently, mobility patterns determine the rapid urbanization along their side. This highly intense zone is peppered with exclusive urban forms. These linear filaments should be re - interpreted as ecological corridors instead of just TOD zones. This enables continuing strips of green in the region. The regional strategy is envisaged as a combination of linear systems of open space, production and mobility. The fragments meanwhile are reconfigured as an arrangement of multi - scalar courtyards around which new programs and new centralities are devised. This demonstration project of 3km x 3km proceeds to show how fragments maybe reconfigured by a combination of open space, production and mobility systems. On a localised scale, typologies of appropriate urban form is proposed; derived partly as a contemporary interpretation of historical forms. On the north, the housing for low income groups by DDA is a mixed - use urbanised system. EXISTING OPEN SPACE The idea of this mapping was 0 0.5 to explore the extend of porosity of the space. The mapping gave some clear indications of the potentials of the existing open spaces. If these micro - spaces are valorized by introducing functional diversity, it can enable the linking to larger scales and thus benefitting the whole region. Traditionally, large portions of land was owned by a single land owner. This consolidation was divided into organized plots and cultivated by landless farmers on a tenure basis. Most of the landless farmers are from poor and disadvantaged groups. When the current model of city exapnsion is followed, the land owners consolidate wealth by selling their land to private developers or become developers themselves in wake of a steep increase in land value. The poor farmers meanwhile lose their primary means of livelihood. Existing mobiliy structure represents a fine grained street structure. The introverted rural villages are bounded by organic streets, the main roads among them referred to as Lal Dora which separates the agricultural land from the habitable areas. The proposal of the 0100 m wide Urban Extension Road threatens to disrupt this 0.5 isotropy. While cutting through the landscape, it proposes to be an expressway which enables faster access to the National Highways. The subsequent section confronts the existing situation with the on - going trends. These include crude infrastructure proposals, water shortage, environment, open space, transportation, technical infrastructure, heritage conservation, land policy, informal sector, trade, commerce, mixed use facilities and housing. 1. UER (Urban Extension Road) he proposals of the two Urban Extension Roads (Width of UER II - 100 m and Width of UER 1 - 80 m) can be seen as to have positive and negative effects. On the one hand, it can be seen as a way to ease the conjestion in Delhi and enable access of the National Highways without entering the city. On the other hand, since there is scarcity of land in Delhi, these roads will be elevated in most parts. It is highly probable that the proposed UER will act as a barrier in the peri - urban area similar to the Delhi - Gurgaon expressway. Therefore it is necessary to have strategic design principles which will prevent this. It has to have provisions which will enable benefits for the peri - urban area. as well. 2. WATER SHORTAGE It has been acknowledged in the MPD 2021 that rejuvenation encroached water bodies will solve the issue of water shortage in the city. This has to be accompanied by design principles that combine this need with diverse functions based on context. The water body can be a node, centrality or part of a hiking trial. 3. ENVIRONMENT AND OPEN SPACE The MPD has emphasised on the conservation of the ridge. It has also emphasised on the provision of 15 - 20% OF LAND USE TO LUNG SPACES/ RECREATIONAL AREAS AND GREEN BELT. Arbitary boundaries leads to encroachment of open spaces. This provision has to be accompanied by policies elaborating functions to the green areas. 4. TRANSPORTATION The MPD stipulates the need for multi - level parking, underground parking, multi - modal public transport system, cycle tracks and pedestrian paths to achieve a synergy between land use and transport. This is confronted with the proposal to allow for a condition of equity based infrastructure. 5. TECHNICAL INFRASTRUCTURE The rejuvenation of River Yamuna accomodating measures such as refurbishment of trunk sewers, treatment of drains, sewering of unsewered areas, treatment of industrial affluent and recycling of treated effluents has been included in MPD 2021. This provision reflects on the larger need for spatial quality and addressing environmental concerns in the city. It also needs the backing of robust technical infrastructure to ensure alleviation of pollution. 6. HERITAGE CONSERVATION The MPD stipulates the identification of heritage zones, archaeological parks and development of special conservation plans for listed buildings and precincts. This provision becomes significant in the regional aspirations of green infrastructure. The articulation of green infrastructure and soft mobility can be combined with this provision to enable hiking trials and enhance tourism potential. 7. LAND POLICY MPD 2021 envisages a decentralised local area planning by participatory approach. It also incorporates the idea of performance oriented planning and development, with focus on implementation and monitoring. However, this vision has to be backed by concrete design strategies for practical implementation. Existing planning systems do not have provisions for participatory approach for passive stakeholders. 8. INFORMAL SECTOR Incorporating unauthorised colonies into the mainstream by adequate provision of infrastructure, services and facilities have been outlined in the MPD 2021. This challenging task has to reviewed in light of current housing needs. The informal sector remains neglected and segregated from the rest of the city. The proposed alternate model for the peri - urban area should seek to address this fragmented situation in a strategic manner. 9. TRADE, COMMERCE & MIXED USE For better synergy between public transport and work centres, MPD 2021 has mooted the idea of district and community centres as facility corridors along major transport networks and integrated freight complexes/wholesale markets along urban peripheries. The idea of mixed use, informal markets, push carts and mobile vans has also been given prominence in light of shortfall of available commercial space. Since these are inclusive forms in comparison to the exclusive shopping malls, it can be a very vital component for the alternate model for the peri - urban area. 10. HOUSING Shortage of land is a very pressing issue in Delhi with the projected population in 2021 to be 23 million from the current 18.5 million. DDA stipulates an addition of 1.44 million dwelling units of various categories to be accomodated in 20000 - 22000 hectares of land. To prevent proliferation of slums, 50-55% of housing has been provisioned for urban poor. While this may be a positive sign to address shortage of housing, it is important that the urban poor also avail of spatial quality, basic amenities, accessibility to infrastructure & public transport and not succumb to residential segregation. The existing situation of urban development reinforces the regional and local tensions. The urban form and mobility adopts an exclusive spatial condition striving to meet the global demands of the city while neglecting the local needs. The agricultural production and open spaces are compromised for the rapid colonization of urban form. It can also be said that the urban transformation overtakes the social transformation neglecting passive stakeholders. Alternative model of development is necessary to counter the fragmentation that this causes. The proposal seeks to balance the needs of the urban form, mobility, agricultural production and open space layers. This enables a strong backbone for the urban form rather than haphazard development. In this demonstration project, green infrastructure is used as a spatial tool to promote cohesive development. Each layer is delineated with a specific function to achieve an alternate model of development for the peri - urban area. 1. BARRIERS The site has two main barriers - the UER and the water course. These have to be reconfigured to create a permeable spatial condition in the space. 2. INTERFACES Using the derived design principles, continuous interfaces are created between the existing open space and the existing production. These are devised as a combination of multi - scalar courtyards joined by boulevards and streets. 3. CROSSINGS The area is made more permeable by means of crossings and links over the barriers. The UER which was intended as a fast connection now becomes part of the open space framework. Crossings every 500 - 800 m over the water course makes the space more accessible. 4. PROGRAMS A hierarchy of programs and nodes are evolved from the site conditions. Those nearer to regional connections serve higher scales as well. Existing wilderness and smaller water bodies serve as localised nodes to which diversity is introduced by addition of new functions. PROPOSED OPEN SPACE STRATEGY: CREATION OF INTERFACE The interfaces are created following the organic structure of the existing agricultural plots. The spacing is in such a way that every urbanized area is in proximity to facilities of the green infrastructure. In this way, the green infrastructure is embedded into the system rather than an arbitary after thought. PROPOSED OPEN SPACE STRATEGY: EVOLVING PROGRAMS Based on the context, various possibilities of programs are devised. These offer spatial quality, employment opportunities and recreational options. PROPOSED MOBILITY STRATEGY: RECONFIGURING LINEAR FILAMENTS The mobility is reconfigured to suit the needs of the local population. It functions as ecological links and corridors at the regional scale. New bus routes are introduced to make public transport accessible and within walking distance to existing urbanization and new developement. The primary node 0 is situated 0.5 on the UER and attains functions of regional significance. It will also have metro - feeder stops and motorway links. The tertiary and quarternary nodes are evolved as part of later phasing once the area becomes busier. The idea is to have public transport stops at all the nodes within walking distance of all types of urban development. PROPOSED MOBILITY STRATEGY: EVOLVING SLOW MOBILITY Bike routes and pedestrian paths are evolved organically according to existing morphology of dirt roads bordering agricultural roads. This is to break the sectorial pattern which is the norm in zonal development plans. The bike routes and pedestrian paths thus introduce inter - modality in the space. 7. PLANNING AND DESIGN RECOMMENDATIONS This chapter presents how the principles derived may be embedded in the planning framework by means of design principles. As negotiation and governance also plays a crucial role in implementation of new planning principles, proposals are made with regard to additional bodies in the existing planning institutions. Reflections are made with respect to how planning and design can mutually inform to counter fragmentation. Embedding Crude Infrastructure This principle seeks to address the negative implications of crude infrastructure. The infrastructure should be embedded in a hierarchy of courtyards which combine production, open space and soft mobility. This principle tries to ultimately promote multi scalar benefits and increase chances of employment, quality of life and services to the local population. Multi - functional green buffer This principle seeks to increase the overall green in the peri - urban space. Current planning provisions displaces industries which are harmful to residential areas. A proper classification of agro - based light industries should be combined with a provision of multi - functional green buffer. The green infrastructure immediately surrounding the industrial area can be thick vegetation acting as carbon sink. Those nearer periphery of residential areas can function as parks, recreational space, water retention and space for informal trade. PUBLIC PARK DISTRIBUTION This principle seeks to promote an equity in distribution of public open space. The clause in MPD 2021 stipulates 15 - 20% of land for green belt and green open spaces. The green belt as a spatial tool has failed to secure the open space in the city. Instead of the green belt, this principle should be used as a guiding tool to enforce green infrastructure with dedicated recreational functions. The public parks can be orientation points for housing for diverse income groups. District centre: Regional Infrastructure This principle seeks to promote inclusive built forms in green infrastructure. In dedicated Green infrastructure spaces which occur alongside regional corridors, built forms which cater to multiple scales are permitted. However, these should not be exclusive shopping malls. These should ascribe to the typology of the district centre to ensure local scale street vitality along regional infrastructure. The commercial spaces in ground floor should be accessible from outside. Floor Space Incentive This principle seeks to increase positive chances of negotiation with private developers and real estate agencies. If the private developers agree to give away a space that would have become an excluded privatized space to the public realm, they would get a floor space incentive. This would leave provision for dedicated spaces for green infrastructure and informal trade thus promoting street vitality. Block Typologies This principle seeks to promote equity in distribution of housing. A single block has to have a mix of affordable and HIG housing. The standards that have been stipulated in MPD 2021 for housing typologies enforce segregation. The space standards that are given in MPD 2021 maybe used to complement this design principle. Affordable housing may be mid -rise without lifts. HIG housing may be high rise with basement parking. Design of the block should be in such a way that every income group should have easy access to public transport, amenities and open spaces. Reconfiguring dirt roads Current mobility preference for bikes in Delhi is by the lower economic groups. This principle seeks to promote equity in the use of soft mobility. Dirt roads can be converted to bike paths and pedestrian routes with minimum investment and without compromising on porous paving. By articulating the paths along scenic routes, its recreational use can penetrate the collective consciousness which can trigger its benefit as a primary mobility in later phases. Preserving nallahs and village ponds This principle seeks to alleviate the problem of water scarcity in Delhi. This is done by valorizing every water source in the area right from encroached village ponds, newly discovered water bodies and polluted streams to act as sources for water retention. Decentralized waste and water treatment plants, technical awareness about desilting processes should accompany this provision. Micro - space activation This principle seeks to activate micro spaces which are now decrepit for diverse functional uses. This should be done by promoting local markets and farm produce and providing incentives for the same. By ensuring regional connectivity, this principle can seek to widen the outreach of functional micro spaces as multi - scalar anchor points. This enables to use porosity in existing urban tissue to maximum advantage. A participatory planning process is envisaged for the green infrastructure to be embedded in the planning framework. In the absence of urban local bodies, a number of aiding negotiation stakeholders have to act as mediators between the active and passive stakeholders. These can include experts who can help in informed decisions as to appropriation of land for green infrastructure as well as NGOs and volunteers who can help in awareness of the same. Dupont, V., Pumain, D., 2000. Compact city to polycentric cities. In: Metropolis in motion. An International Comparison, pp. 51-72.